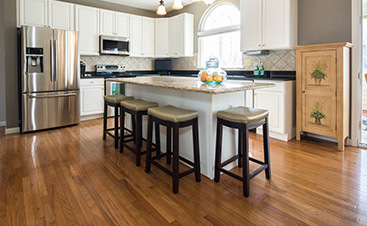 The arrival of summer signals the start of the busy season for your hardwood floors. There will be sand deposits from day trips to the beach and wet footprints left over from a visit to the neighborhood pool. 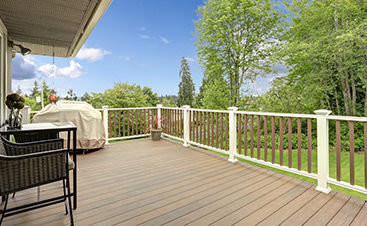 Your hardwood floors will certainly bear the brunt of household summer activities. 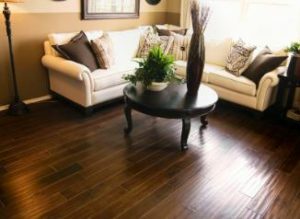 To keep your wood floors alive, there are four key areas of attack that require your best line of defense. The following are ten ways you can win the fight. Summer means spending a significant amount of time at the neighborhood pool or relaxing on the beach. The two main culprits from these activities, salt and sand, have the ability to wreak havoc on your hardwood floors. No matter how hard you try, tiny granules of salt and sand will take up residence in your home. Luckily, there are actions you can take and things you can put into place to prevent salt and sand from attacking your hardwood. Shoes are the biggest carriers of salt and sand particles in your home. As your family members walk across the wood flooring, the granules fall into the cracks and crevices. Prevent this from happening by placing a shoe bin outside of the main entry door to your home. Everyone can place their shoes inside the bin before entering your home. Floor mats provide an excellent space for everyone to take off their pool or beach shoes and leave them to dry out. As the shoes dry out from the adventures of the day, the salt and sand easily brushes off – which protects your floors from these elements. Water is your best line of defense against salt and sand particles. You can easily install an outdoor shower that serves as a rinse-off spot before everyone comes inside. Likewise, you can provide access to a garden hose to rinse shoes off and leave them to air dry on a floor mat. When the salt and sand manages to find a way into your home, grab your vacuum and prepare to fight back. Use the bare floor attachment on your vacuum. This will work to pull the granules from between the floorboards as well as remove it from the surface area of your floors. Vacuuming is more effective than sweeping, as a broom only pushes the granules deeper into the flooring. Mother Nature is another one of the big enemies your flooring will face this summer. Natural UV rays often discolor hardwood floor boards, turning them from a vibrant color into a faded amber tone as summer progresses. When discoloration occurs, it ages wood surfaces and requires you to refinish the surface area on a more frequent basis. Try this line of defense to prevent discoloration. During peak sunlight hours, close nearby curtains, shades or blinds. This works to prevent the UV rays from penetrating the surface area of the flooring. It protects the natural coloring of the wood as well. Summer brings higher temperatures, bringing with it higher levels of humidity as well. 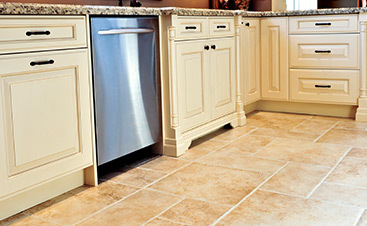 An increase in humidity will naturally cause your flooring to shift slightly. However, humidity can also be dangerous to your flooring. You can take the following actions to prevent humidity from damaging your flooring. A hygrometer is an instrument that measures the moisture levels in the air. When the instrument registers higher than normal levels of humidity in the atmosphere, you can take precautionary measures to prevent damage to your flooring. A dehumidifier can be an excellent weapon for fighting back against high levels of humidity. It works to draw the excess moisture from your home and provide a more suitable humidity level in its place. This will prevent the floor from warping. When humidity levels reach a height beyond your control, you may notice that your hardwood floors begin to split or rise up at the corners. Instead of attempting to tackle this problem on your own, it is advisable to consult a hardwood flooring professional who can work to repair the damage. Summertime naturally means having your kids at home more throughout the day. This fact increases the potential for unintentional damage to happen to your hardwood floors. Luckily, you can take a few precautions to ward off this damage before it starts. Take a few minutes to apply felt pads to the base of each chair or movable piece of furniture in your home. Each time a family member moves a chair or piece of furniture, the pads work as a barrier that prevents scratches from forming on your hardwood floors. Any form of liquid has the potential to permanently ruin your hardwood flooring. As that liquid sits for a long period of time, it begins to seep into the wood – which results in discoloration and stains that are not easy to remove. When a spill happens, mop it up as quickly as possible to avoid permanent stains from taking place.